There are many definitions of Building Information Modelling (BIM), but it is simply the means by which everyone can understand a building through the use of a digital model. Modelling an asset in digital form enables those who interact with the building to optimise their actions, resulting in a greater value and minimising project risk of over expenditure and project overrun. 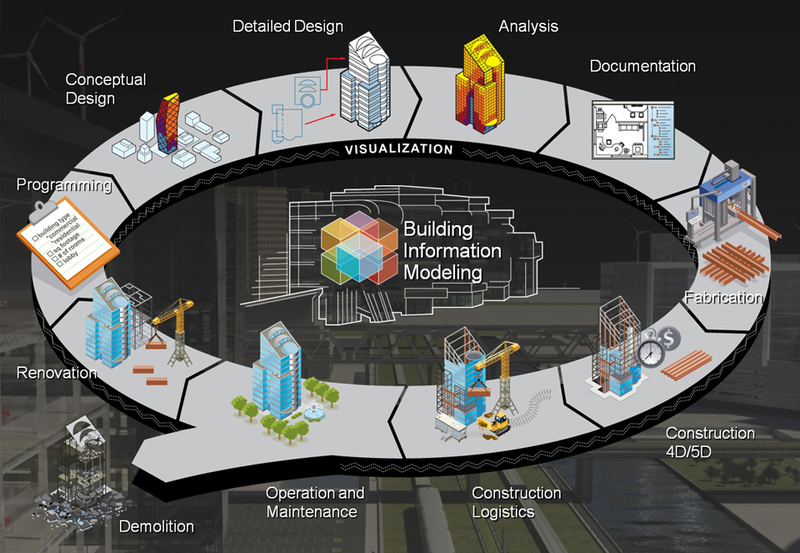 BIM brings together all of the information about every component of a building, in one place. It makes it possible for anyone to access that information for any purpose, e.g. to integrate different aspects of the design more effectively. In this way, the risk of mistakes or discrepancies is reduced, and abortive costs minimized. What are your benefits of BIM as a client? The project can be realised in 3d. Providing the client with a visual reference to make informed decisions about their project. This means the client knows what they are buying before it is built. It also improves the design programme as it reduces the client approval period. The 3d modelling allows you to make the right decisions at the design stage rather than during construction saving you time and money. This in turn provides more certainty for the project being completed on time, reducing your risk for claims associated with an extension of time. The 3d modelling allows the model to be shared with all design disciplines resulting in your contingency fund be reduced saving you expense during construction. The 3d model can be adapted during construction to take into consideration as installed information (for contractor design elements) providing you with an interactive complete model for your building manual. This also means that information can be shared when considering refurbishments or extensions. Finally BIM ensures design information is complete and accurate ensuring your project obtains the best market price. What are your benefits of BIM as a Contractor? BIM can reduce project risks associated with time and costs. It provides a good marketing tool when bidding for design and build tenders. The process of BIM results in a single model being used in a collaborative manner, reducing on site delays and expense associated with unforeseen issues. Clash detection is a critical part of BIM. This reduces those issues associated with service voids and provides a complete 3d model for interrogation before construction. The 3d model provides a live building which can be reviewed and discussed to ensure the project is buildable and cost effective. Information stored within the model allows your cost consultants to table parts and components schedules providing you with live information for pricing enhancing cost certainty of a project.